Friendly, colorful environment. Fishing tournaments and charters. Best place to catch gorgeous sunsets and have a great drink, Food is good and local types of shrimps, fish, burgers, not fancy but good. We went there three times for the popcorn shrimp, fresh seafood. Visited two different times. 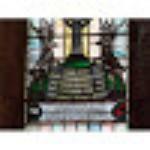 The young man that waited on us was extremely helpful, knowledgeable and friendly. Two pounds of large fresh shrimp on Thursday. Came back Friday for another five pounds to take back to a Maryland. 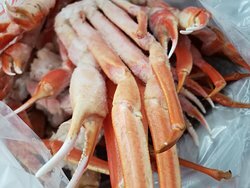 If you want fresh seafood to cook at home this is the place to shop. All the basic seafood ingredients you need are available here. 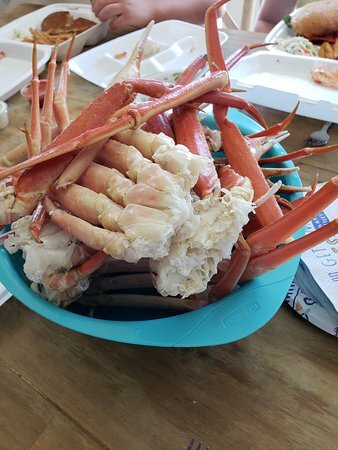 Fresh seafood is always a win! We stopped in to get several pounds of shrimp and scallops to load up our freezer. We love fresh seafood and insist on only wild-caught and never farm raised. The jumbo shrimp are humongous. Reasonable prices and fast service. Only place to go if you want fresh seafood and cook it yourself. Very good!!! Highly recommended. Like that it's small business and supporting the local community. Thank you so much!!! We truly appreciate your business!! 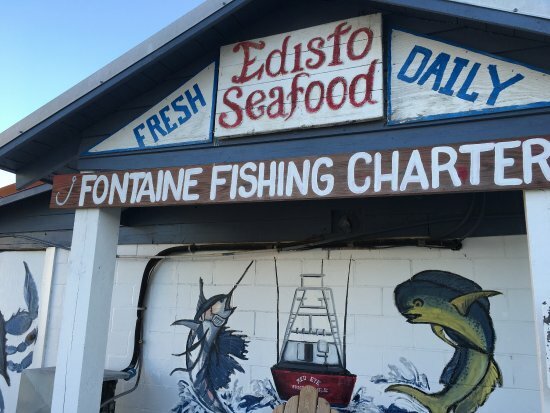 Get quick answers from Edisto Seafood staff and past visitors. Hello! What days are you open? Hi, Liz! Thanks for reaching out! We will be closed on Easter Sunday, but will be open on Monday for the remainder of the week, every day from 10am-5pm. We'll have a bunch of fresh shrimp and a wide selection of fresh fish available! 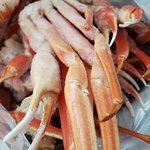 We also carry Snow Crab Legs, Lobster Tails, and Sea Scallops. Looking forward to seeing you next week! 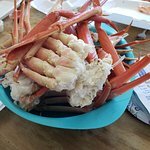 Edisto Seafood only has seafood for purchase that you cook yourself. There are restaurants and a grocery store on the island that offer non-seafood selections.